Insights is a powerful tool to help you drill down into your expense data to analyze company spend. These summaries and charts will help you find trends, patterns and anomalies so that you can more accurately prepare budgets and find ways to optimize spending. 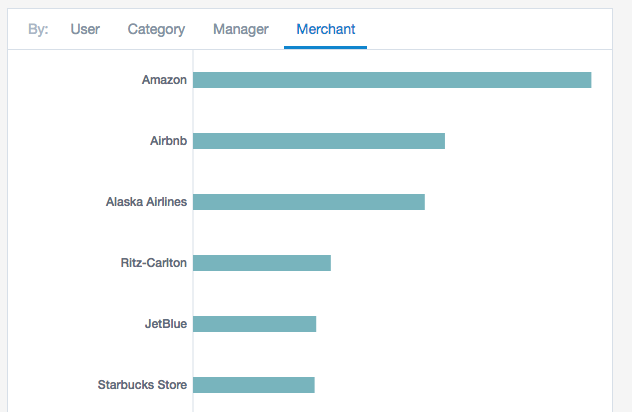 Report on your expense data by category, employee, custom team and expense fields, and much more! 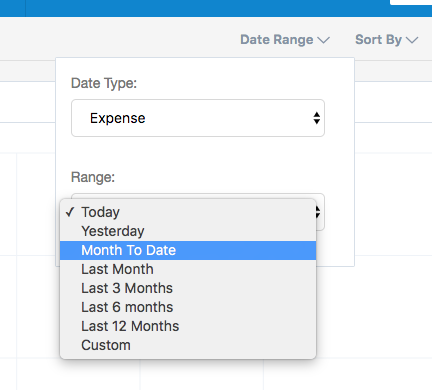 These customizable reports will update in real-time as your team submits expenses that fall within your saved criteria. 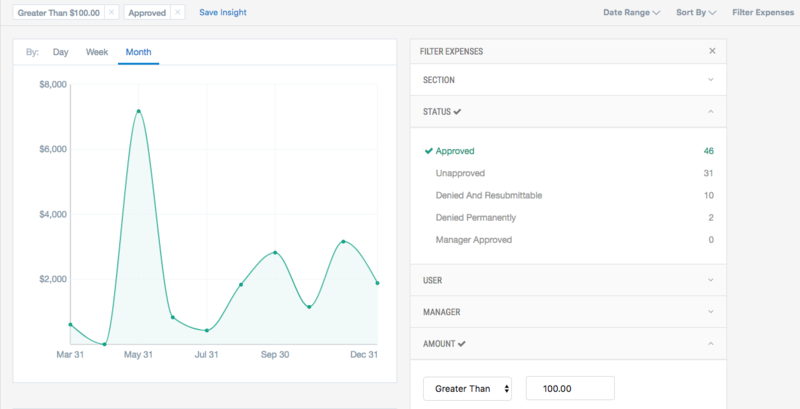 Similar to Live Reports, Insights can be created by filtering expenses. 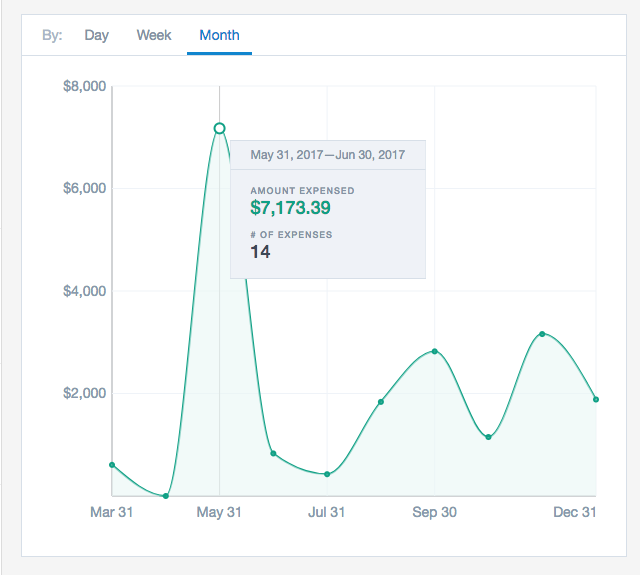 As an Admin, you have the ability to create a custom report by filtering expenses by criteria like Category, Expense Field, Team, and more. Any report you generate can be converted into an Insight. Next, select “Filter Expenses” on the right. In this example, we selected the filters Status: Approved and Amount: Greater than $100. The default Time Range is “All Time” for any new Insight. However, you can change this by clicking “All Time” next to “Filter Expenses” and changing the range. To save, Click “Save Insight” and name your report. 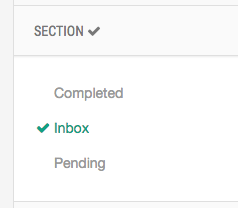 It will appear in the left side navigation under Insights. Live Reports are meant to help you efficiently review and approve expenses. 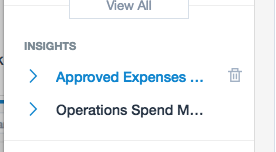 These reports have a default view of an Expense List. Insights are meant to help you analyze your data. These reports default to the Chart View. 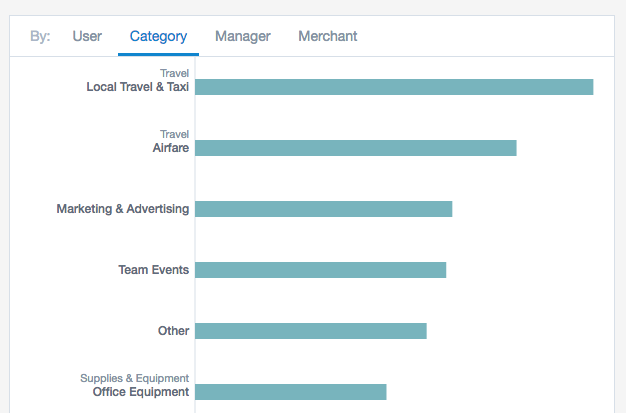 Using Insights to dissect travel spend gives visibility into where the most money is being spent in each category. For example, you can see the most commonly used travel vendors, and use that information to research the best deals for flights and hotels. You could also analyze categorical spend to create a more informed travel policy to prevent excessive spend. Insights presents data in the form of a Time Series chart, showing overall spending, as well as bar charts that break down spending by team and expense fields. Compare spend by field to identify recurring vendors, costly projects and top spenders. Use this information to inform expense policy and potential vendor partnerships. In preparation for quarterly planning, view month-over-month spend by category to identify major spikes and drops, dive deep into those trends to set more accurate budgets for the coming months.